The genre of nonfiction is huge and encompasses many subgenres: personal narrative, first person essay, memoir, informational text, biography, etc. 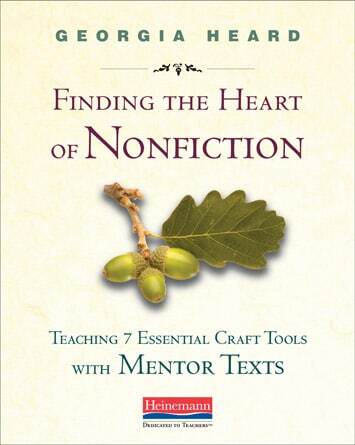 Instead of separating each nonfiction genre I focus on the quality of nonfiction no matter what genre you’re writing in. After all, nonfiction may include facts and information but lack voice and vibrancy and not engage the reader. Good writing is good writing no matter what genre you’re writing in. William Zinsser writes, “What holds me is the enthusiasm of the writer for his field…. This is the personal transaction that’s at the heart of good nonfiction writing…humanity and warmth. Good writing has an aliveness that keeps the reader reading from one paragraph to the next”. Point of view and voice: who are we when we write?